Okay so i’ve been working through the BMOA heavily and after every meditation, after every ritual and every working I do i’ve had a spider appear. I’ve killed them and placed them in a jar for dark workings, I have counted twelve rites and twelve spiders along with two black dragon flys. First of I thought it was arachane the spider goddess I asked her she said it wasn’t her. So I thought what could this mean and how do they manifest out of literally no where, this is a picture of one of the spiders. Have these spiders been appearing before the daemonic child? when spiders appear out of no where for me it Bealzebub, trying to tell me something. ive had it happen numerous times. not saying that is what this is but for me thats usually who it is. First time I evoked Lucifer there was this gross bug thing crawling across the floor and its abdomen was swollen and full of juice so when I dropped something on it to kill it, it left a little puddle. Urggghhh. Maybe demon kings usually send spiders but Lucifer sent the bug thing instead cause he’d knew I’d freak if it were a spider. I haaate them. Only partially related, there’s a female spider that has a web hung up by the side door of my apartment building so every time I come in I say hi to her. Might have something to do with your demon child since they didnt spawn before. Maybe those spiders are a key to something greater. If I was him I would try to sacrifice one of the spiders which spawns and see how the child reacts. These are manifestations of the Ahriman’s Noxious Creatures. This is also a totem of yours since it is coming forth through ritual experience. Though it has yet to be published there is a lot of individual work with the noxious totems. Spider, frog, scorpion, worm, etc. Though at the surface many of these Noxious totems seem insignificant the powers they represent are profound. For instance the worm can empower the adept through regeneration and rebirth. The spider manifestation is an omen leading you toward the weaving of fate through sorcery or low magick. 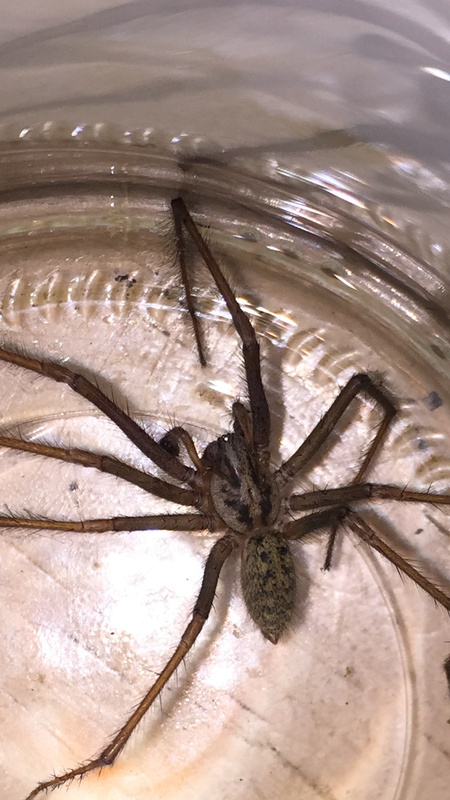 What type of spider is it? Did some digging and looks like a brown recluse spider. Lol. Yeah I sent it on it’s way. Gonna make sure it didn’t leave friends behind. You could try and do some necromancy, and see if you could bring the spider back to life. @nikki That’s very, very good. You might need them for the Path we discussed over PM. That’s very, very good. You might need them for the Path we discussed over PM.